This correspondence of the Kansas Adjutant General includes letters received on a variety of topics including supplies, ammunition, Indian relations, depositions, orders, commissions, enrollments and others. Letters on Indian relations refer mostly to conflicts between white settlers and a group of Indians near the forks of the Solomon River. Price Raid claims are also addressed. 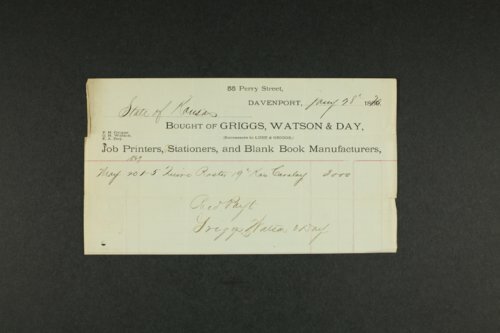 Letters were often addressed to Governor James Harvey or to Adjutant General David Whittaker.